We are proud to be Ministry of Transport approved and service all makes and models of commercial vehicles including trucks, trailers, vans and motorhomes. The vehicle MOT programme is regulated and monitored by the Vehicle and Operator Services Agency (VOSA), ensuring that vehicles with a valid MOT certificate meet the required road safety guidelines and environmental standards. STA Vehicle Centres offer Class 4 (motor cars), Class 5 (mini buses and coaches) and Class 7 (light commercial). Our qualified examiners are equipped to test all types of catalytic converters and diesel engine emissions. We have an commercial truck inspection lane on site for larger vehicles, with a range of additional services including voluntary brake tests, beam sets and multi tests. On average, a car MOT will take between 45 minutes and an hour. You can wait for the inspection in our reception area, or leave your car with us and we’ll give you a call when it’s ready. Should your vehicle fail its MOT, we issue a VT30 certificate stating the reason for failure. This gives clear information about the fault and what’s needed to rectify the problem for a pass certificate to be issued. 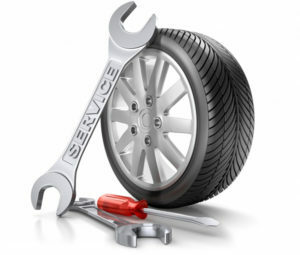 It’s worth knowing that many faults found during an MOT can be avoided by carrying out simple maintenance. Take a few minutes to check things like tyres, lights and wiper blades before the MOT is due, to give your vehicle the best chance of passing first time. STA Vehicle Centres have invested in the most up to date technology and equipment to cater for all vehicle makes and models. Our vehicle diagnostics service can quickly determine the cause of a problem, to get your vehicle back on the road as soon as possible. Our digital and analogue Tachograph facility offers scheduled calibration checks, new installations and repairs. Every STA qualified Tachograph technician holds a ‘certificate of competence’ for both digital and analogue tachographs and carry out installations and repairs on all types of vehicles and Tachograph units. We operate a 24 hour nationwide vehicle recovery service, and where possible carry out repairs at the scene of a breakdown. Faults can be unpredictable and costly – our aim is to keep disruption to a minimum and get you back on the road as quickly and safely as possible.